The biggest change in most people’s holiday traditions typically results from marriage. Two completely different, often conflicting, sets of traditions have to be consolidated, mashed-up and ironed out. This process is even more difficult if the parents of the person you are marrying are divorced, which means you essentially have to merge THREE different sets of traditions. For the first several years Janet and I were married, we lived in The Little House on the Highway, which was not quite half-way between my parents’ house in Port Clinton and hers in Ft. Wayne. 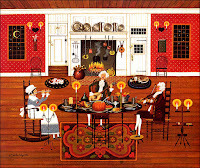 The first year, Janet’s mother actually came and had Thanksgiving dinner with us at my parents’ house. Back then, I was working as manager of a retail store, and while I had Thanksgiving day off for the first time in years, I would be putting in 14 hour days the rest of the holiday weekend, so it was impractical for me to travel anywhere. 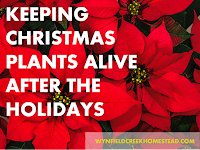 Once I got out of retail and into a more sane holiday work schedule, we began alternating Thanksgivings, typically spending Thanksgiving day with one family and then the day after with the other. The Ft. Wayne festivities were generally held at Janet’s sister’s house and not at one of her parents’. Her sister’s house was larger and also had the advantage of not showing “favoritism” toward one parent or the other. Truth be told, I actually enjoyed the Ft. Wayne Thanksgivings more than the Port Clinton ones, which by this point, due to the size of the extended family and some “personalities and issues,” had become something of a theater of the absurd. Consequently, the next year we went off in search of our own North Carolina Thanksgiving tradition. We couldn’t see the value in cooking a whole turkey for just the two of us, so I fell back on the “Thanksgiving dinner out” concept from my days at the CIC, with a touch of Manly Outdoor Activity for good measure. We spent the first part of that Thanksgiving hiking at Lake Norman State Park, then had dinner at Cracker Barrel. It was an okay arrangement, but not very Thanksgiving-y. 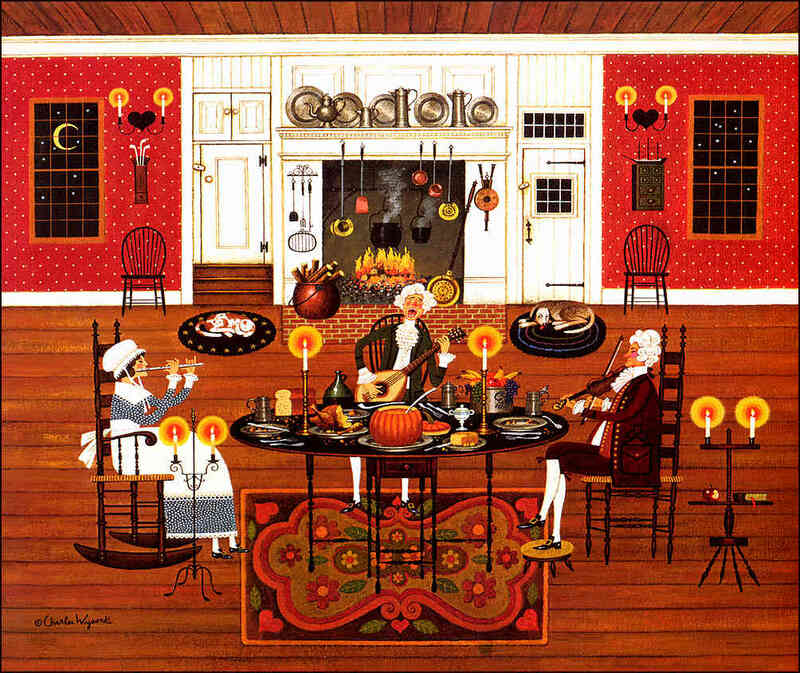 The next year, we were invited to Thanksgiving dinner by a colleague at the software company where I worked. With no other particularly good options, we accepted. I’d love to tell you more about that day, but honestly I don’t remember. My colleague was such a good host that my wine glass remained completely full for the whole day. I have no idea how much I actually drank, but I recall at one point wanting to stand up and realizing that I couldn’t. In 1998, I took a job with another firm and was immediately introduced to a new Thanksgiving tradition, the Turkey Trot. I was told that everyone from the office ran in this annual event on Thanksgiving morning at the South Park Mall. I hadn’t run much since college, but certainly didn’t want to be the odd man out at my new firm, so I started training for what I initially thought was a 5K. About two weeks before the event, I learned that it was actually an 8K, which doesn’t sound like a huge difference; unless you are barely making it the 5K. For those who are metrically challenged, it’s the difference between 3 miles and 5 miles. Finally, on the Sunday before Thanksgiving I made the full 5 miles under 55 minutes (which I perceived to be a slow, but not embarrassing pace) for the first time. I was ready. Of course, on the actually day, everybody else from the office begged out of the race for one reason or another, leaving me to run all by myself. I ran in the Turkey Trot for the next several years until my bad knees finally caught up with me. During those years, we alternated between cooking a full-blown Thanksgiving dinner at home, occasionally joined by Janet’s father, having Thanksgiving dinner at the very CIC-like North Harbor Club, or joining our friends, Steve and Fern Dallas, for their family dinner. Sometime around 2005 or 2006, a local radio station offered free Charlotte Bobcats tickets for the night before Thanksgiving to anyone bringing a frozen turkey to their station to donate to a local homeless shelter. That sounded like a neat idea and a new tradition was born. For whatever reason, the Bobcats - now Hornets - tend to play a home game on the night before Turkey Day. I think they have done so 5 of the past 7 years, and when they do, Janet and I are at the game. By the last week of November, the hills of western Virginia have gone a mossy brown. From twenty-five thousand feet, they resemble nothing so much as the rough, irregular hide of an alligator mottled with the bright white crescents or ovals or s-shapes of ski resorts awaiting the early-season crowds. The plane is a turboprop Dornier 328, the workhorse of US Airways commuter fleet, and standard equipment from Pittsburgh to Greensboro. It is cramped and noisy, a plane he knows well. The FASTEN SEAT BELT sign blinks twice, and before the flight attendant begins her “tray tables and seat backs” announcement, he begins stowing his laptop for the initial descent into the Piedmont Triad airport. He knows to do this because he makes this flight nearly every week, and has for nearly as long as he cares to remember. On the ground in Greensboro, he rolls his single carry-on bag out of the terminal, past the cascading fountain and out into the crowded parking lot. It’s a sunny day, seasonable, twenty degrees warmer than the wintry morning he left behind in Cleveland. His Ford Crown Victoria, (“company car,” he would add, apologizing) waits for him in the space where he parked it forty-five hours before. If it were capable of speaking, it might question why he is back so early this trip. But it is just twenty-three hundred pounds of steel, glass, rubber and plastic. It does not know today is the day before Thanksgiving and that all good business travelers are either home already, or well on their way. For him it’s the latter, as there’s still the matter of the hour drive from the airport to his suburban home. Leaving the airport and merging onto the highway, he checks his voicemail, and finds, as expected, only one message, from his wife, Claire, reminding him to pick up a bottle of wine for the Scanlon’s. A glance at his watch confirms that it is after four o’clock, and that the business world is winding down for the long holiday weekend. A quick call to the office reassures him that there are no last minute fires to be doused or feathers to be smoothed. He turns the radio up and cruises west, eventually taking the Hargersville exit and turning south onto the wide tree-lined boulevard. The Wine Shop is located in a cluster of gray clapboard buildings designed, to the folly of the Boston-based developers, to resemble a New England whaling village; or at least a New England tourist destination designed to look like a whaling village. They retail space is called The Shoppes at Pequod Landing; Pequod Landing being the subdivision where his house, 4BD/3BT 3500 SQFT, sits on its pie-shaped wedge of cul-de-sac; Lanyard Court. The Shoppes consist of a dozen small retail establishments, a Blockbuster, a Domino’s pizza, a candy store, a pharmacy, a card shop... all bobbing in the sea of asphalt that washes upon the shores of the Harris Teeter grocery store. It’s cheerfully upscale and painstakingly inauthentic. On this day, at this hour, the lot is packed with minivans and sport-utes, and he is silently grateful that he does not have to fight the rush of last-minute turkey-and-yam-seekers descending on the Teeter. For the first time since Claire suggested -- insisted actually -- on having Thanksgiving dinner with the Scanlon’s, he sees the value in letting someone else do the leg-work. A circuit of the lot reveals an open spot a few spaces down from The Wine Shop’s door, directly in front of The Ribbonry. Apparently there are few last minute lace and bow shoppers today, and he quickly tucks the “Vic” in between a monstrous Suburban and a Mercedes sedan. Inside, Fred, the shop owner, finishes up with a couple who are clearly planning one heck of an boozy extravaganza for turkey day, but gives a courteous nod of acknowledgement as he ushers them and their case of clanking bottles toward the Suburban. “Dan,” the shopkeeper says warmly, “let, me guess; looking for something that goes with turkey and cranberries?” He says this with a cheerful, off-the-cuff, nonchalance that Dan is certain has been the go-to greeting for the past week. “Ah,” the short, balding man says knowingly, as he heads off toward a stack of crates near the front of the store. “This Kongsgaard Syrah is a good choice. It has strong spice and black pepper qualities with some smokiness, a smooth finish, and just enough “sticker” to impress,” he continued, holding the bottle out boldly so that the three-figure price was clearly visible. It was an expensive bottle, at least by Dan’s standards, but he knew that Claire would want something nice. “Sure. That would be great,” Dan offers while absently wondering if the ribbon came from The Ribbonry next door. Thanksgiving Day dawns clear and warm, with the temperature pushing 70 by the time Dan and Claire leave for the Scanlon’s, just after noon. Bill and Veronica Scanlon live near uptown in a fashionable older neighborhood called Berwick, where modest two bedroom bungalows on postage-stamp plots of land easily fetch three-quarters of a million dollars. Claire navigates from hand-written instructions Veronica scrawled the day before. New in town and working from memory, Veronica mislabeled a critical turn, and the result was an increasingly frustrating tour of the side streets and back roads of Berwick, heightened by Claire’s refusal to call for directions because that would require her to admit that Veronica’s directions were wrong to start with. After thirty minutes of trial and error, Dan coaxes the “Vic” to a stop in the driveway. 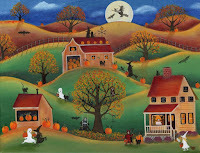 The skies have clouded over, but it is still warm, “more like Labor Day than Thanksgiving,” Dan thinks, as they make their way up the quaint cobblestone path toward the front door. Clearly, the Scanlon’s have been waiting impatiently for them, as Claire’s knock is greeted almost simultaneously by the opening of the door. Alarm bells ring in Dan’s head as he gets his first look at his hosts. Bill Scanlon is tall and handsome, five or six years older, but trim and fit in a casually athletic way that Dan has never been and will never be. His tanned face contrasting pleasantly with his close-cut silver hair. He is dressed in a short-sleeved black silk polo shirt and silver-gray silk and wool slacks that make Dan think of cool stone lining the walls of some hidden canyon. He wears no socks under black Gucci loafers. Veronica is outfitted in a little black dress that Dan suspects cost more than the Vic. For his part, Dan wore a blue and green plaid Lands End shirt and khaki Dockers. He supposed he should have inquired about dress code, but had never heard of anyone dressing up for Thanksgiving dinner this side of the freaking White House. Greetings and introductions are exchanged as the couples make their way through the small foyer into the living room. The house, a contemporary design from the 1960’s is painted sparkling white throughout and decorated in a style which could charitably called minimalist. Dan is almost seated before he remembers the bottle of wine in his hand and thrusts it awkwardly toward his hosts. “No,” Dan answers quite truthfully, and unable to think of anything else meaningful to add babbles a short and disjointed series of comments about The Wine Shop and the half dozen random bottles he has purchased there, mostly as gifts, over the past few months. “Glenmorangie Port Wood Finish okay?” It is more a statement than a question. Bill walks over to the small bar and pours the drinks. Claire had deserted them, heading into the kitchen with Veronica, and he is left in the living room with Bill and his expensive scotch. “Well, actually, my company makes industrial valves and fittings.” He considers adding, “I’m a regional sales manager,” but doesn’t want to sound pretentious. A voice from the other room announces that dinner is served. The dining room is equally white, the furniture equally severe, the art equally funky. In one corner stands an abstract sculpture that, at first glance, appears to be a horse being devoured by huge tentacled creatures. Dan doesn’t hazard a second glance. The two couples sit in bright chrome and black leather chairs surrounding a glass and chrome table. Bill closes his eyes and extends his arms, prompting everyone to join hands. The room is eerily silent for what Dan thinks is an absurdly long time, then Bill begins an incantation of grace the like of which Dan had never heard before. He doesn’t catch it all, but manages to pluck out references to Mother Earth, the Gods of a Million Stars, and something he thinks might have to do with reruns of Bonanza. Then they sit in complete silence for another minute, maybe two, before Bill finally breaks the trance like mood. If Dan had been uncomfortable earlier, he is in shock now. Closer inspection of the food spread out on the table reveals nothing he recognizes. In the center of the table is a large brownish clot. Beside it is a bowl of what appears to be purple rice, and a bowl of what appears to be red broccoli. Where the hell do these people shop, Whoville, Dan wonders? Another bowl, already being passed from Veronica to Claire contains a mixture of red and white beans. Bill stands and begins “carving” long gelatinous hunks from the congealed brown mass. “White or dark, Dan?” he asks with a wry grin, and motions for Dan’s plate. It was coming to Dan now. He knows what this is. He read about it somewhere, maybe one of those fitness magazines at the club. 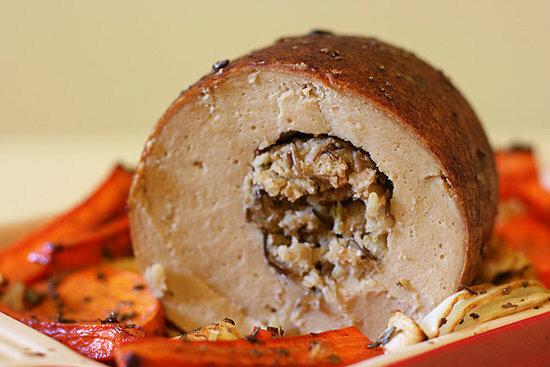 “Is that Tofurky?” he asks, hoping not to belie his revulsion. “Nothing but; fat-free 100% vegetable protein,” Bill responds with a smile, still holding out his hand for Dan’s plate. He shoots Claire a quick glance and her return stare communicates the new theme for the day. Eat it! Eat it all! Don’t say a damn word! Eat the goddamn Tofurkey! Dan dutifully hands his plate over and is rewarded with an extra large portion. The remainder of the bowls are passed and soon Dan’s plate is covered with small piles of the purported food. Dan is relieved, quite relieved actually, to find that the mystery meal is merely bland and gummy, not wholly inedible. Neither Dan nor Claire have. Fortunately, Bill and Veronica have some brochures, and a nicely produced three hour video which covers the basics; the essence of which is that one can achieve total enlightenment by becoming one with Mother Earth, Sister Moon and, yes, the Gods of the Stars. And best of all, this “oneness” can be arranged on the installment plan. By the time Dan and Claire engineer a departure, complete with much hugging and a promise to call after they had thought over “their place in the cosmos,” the sky is dark and a chill wind has swirled up. The first ten minutes of the ride pass in silence. Claire is the first to speak. The rest of the drive passes in silence. “Sure, honey, good night,” she says as she sleepily kisses his cheek and rolls onto her side. Little does she know those will be the last rational words spoken in that house for a month. For the homeowner who doesn't spend hours each week immersed in gardening journals, tweets and blogs, the term "lasagna garden" probably conjures up visions of tidy plots of Italian herbs and Roma tomatoes. But lasagna in this case refers to the process, not the product, of the garden. Also known as "kill mulch" or "sheet mulch" gardening, lasagna gardening is a no-till method which uses layers of mulch and compost to create a stratified growing medium while simultaneously enhancing the underlying soil. I stumbled across the idea a few years ago while, ironically, expanding my Square Foot Garden. I wanted to reclaim space for several new raised beds from my lawn and didn't want to use any sort of herbicide to kill the grass. I got the bright idea of cutting the grass as short as my mower would allow, then covering it with a layer of newspaper and several inches of shredded leaves. It was a fall project and effectively allowed me to kill two birds with one stone. My intent was simply to kill the grass in a natural way, but when spring rolled around I was surprised to see that the creeping myrtle from an adjacent bed zoomed in to cover the unused spaces. A little digging on the Internet confirmed that I was not the first to discover this concept and that, in fact, versions of the method had been in use for hundreds of years. Some additional tinkering led me to a system that I am confident is repeatable and will work well for just about any garden situation. Now, you may be asking, if you are a proponent of Square Foot Gardening (which I am) then why are you promoting a different method? There are two answers to that question. First of all, while you can grow ANYTHING in a Square Foot Garden, some plants are not very practically grown that way. The "umbrella" squashes like zucchini, for instance, are just not well-suited for that method, as even the smaller hybrids will quickly grow to cover an entire raised bed. Second, the initial investment required for a larger Square Foot project can be prohibitive for some gardeners. Yes, it is true that a 4' X 4' Square Foot Garden will produce as much as a larger row garden, but it will also cost around $100 to build. For hobby use, there is a justification for that cost in terms of seed, water and fertilizer savings, but for a larger scale or semi-commercial gardening operation those costs get out of hand very quickly. So, what I have developed for the cost-conscious gardener is something of a hybrid approach which incorporates some of the advantages of the Square Foot method with the minimal investment of the no-till lasagna method. Fall is the best time to start a lasagna garden, since there is a ready supply of fibrous mulch (shredded leaves) and the time between now and spring planting will give the garden time to "age." As implied by the term no-till, there is no digging required to start, the garden is built on top of the ground. The first step is to lay out the area that will become the garden. Following one of the Square Foot principles, the area can be any length but should be no more than four feet wide -- 4' X 8' or 4' X 10' are good to start -- and there should be at least two feet (I prefer three) between the beds. I use mason's line and landscape pegs to define the area and then use a lawnmower or string trimmer to cut the grass inside the lines as low as possible. 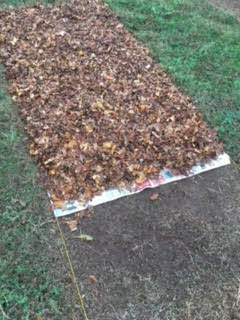 Next, place a layer of newspaper 2 or 3 sheets thick directly on the grass/ground. You will want to wet the newspaper as you are laying it to prevent it from blowing away and to begin the decomposition process. Once the area is completely covered in paper, add a layer of organic material eight to ten inches thick on top. You can use just about any organic material available to you including shredded leaves, grass clippings, coffee grounds, shredded newspaper, etc. While you should try to have some of both "brown" and "green" materials, there is no particular formula you need to follow. If you are using shredded leaves almost exclusively, however, you may want to add a little blood meal as a source of additional nitrogen. Again, to prevent the material from moving and to help start decomposition, wet your "stack" thoroughly at this point. It is okay to leave the stack at this stage for a few days or even a couple of weeks. 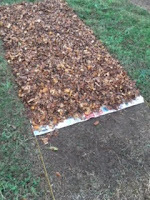 As the material settles and begins to decompose, the stack will decrease in height and it's okay, although not necessary, to add another couple of inches of mulch as is does. The next layer can be either a single layer of corrugated cardboard or a layer of newspaper five or six sheets thick. Be sure to use only uncoated cardboard as the glossy type does not decompose well. On top of the cardboard or paper, add a layer of good quality compost two to four inches thick and water the whole stack thoroughly. From this point all you need to do is wait for spring! 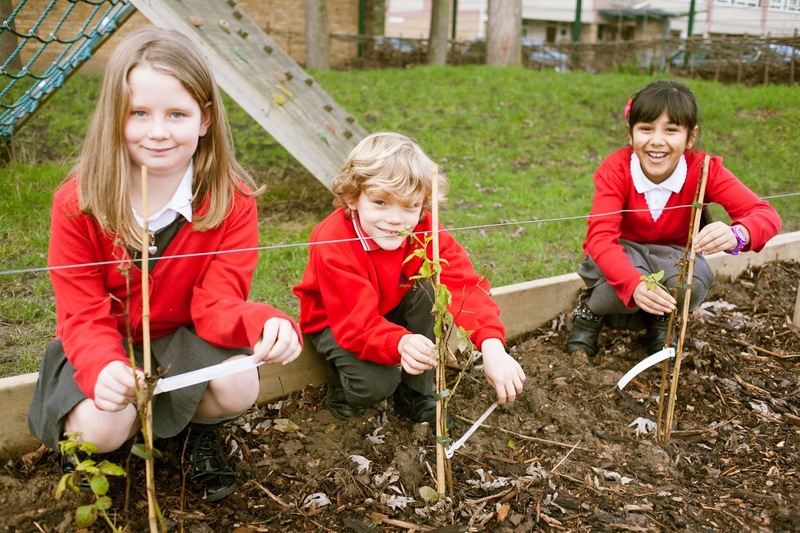 Your seeds or seedlings will be planted in the compost where they will grow down into the decomposing mulch. Worms will be attracted to the rich organic matter and break up the underlying soil in the process. Weed growth will be minimal, just as in a Square Foot Garden, and you can even use the Square Foot planting rules as a guideline for your lasagna garden. Each fall, a new layer of mulch and compost will be added, maintaining a permaculture cycle. For my last two years of college, I drove an hour every Friday afternoon from my dorm at Bowling Green State University to my hometown of Port Clinton to work a weekend job and then back again every Sunday evening. The route I took was SR 105, a two-lane country road that roughly traced the path of the Portage River. At about the halfway point, just outside the tiny hamlet of Woodville, I would pass a small enterprise tucked between the road and a 20 foot cliff overlooking the river. 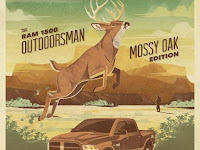 While I forget the name, I recall that it was a hunting and fishing outfitter that advertised custom-made fishing rods. I never stopped, because I was always in a hurry to get to my job on Fridays and the shop was closed by the time I would pass late on Sundays, but I was always curious how successful that business could possibly have been, located as it was on a sparsely traveled back road far away from any population center. 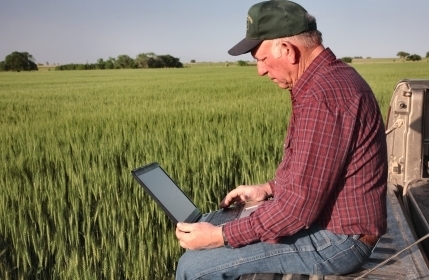 That was the mid-1980's and rural businesses faced a variety of marketing challenges that might seem quaint today. 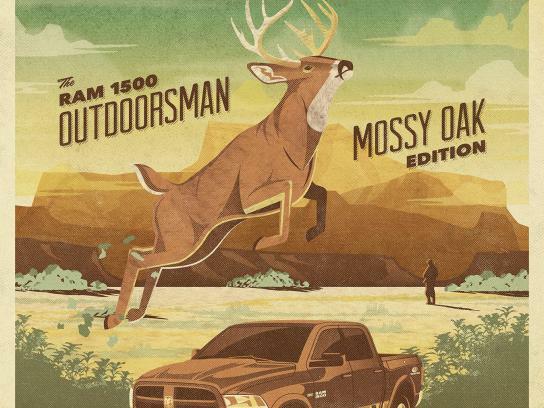 To effectively expand his market, the proprietor of that custom rod shop would have had to place expensive print ads in magazines such as Field and Stream or Outdoor Life or travel to fishing and outdoor shows across the country and sell direct. These days, with a couple of clicks of the mouse my custom tackle business can access a global marketplace, be seen by thousands of potential customers and close a sale; all from the comfort of my back deck. 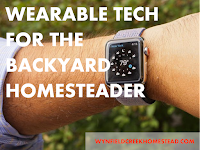 It's pretty miraculous when you think of it, and it creates opportunities for rural entrepreneurship which allow modern homesteaders to live the lifestyle they desire while still earning a decent living. Goat and Sheep Rentals - People and businesses who have a lot of land and don’t want to spend the time to mow it could potentially use the help of goats or sheep. Solar farms, in particular, are a good market for sheep, since goats tend to want to climb on the panels and occasionally even eat them. You could start your own business where you care for goats and/or sheep and then rent them out for that purpose. Worm Farming - There are two distinct markets for worms. 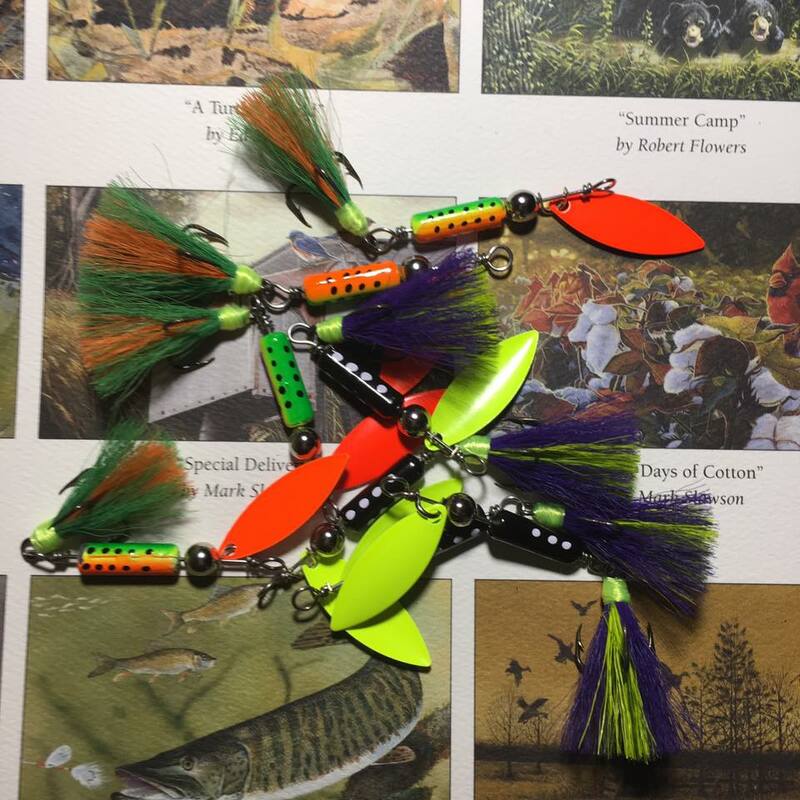 The first is live bait for fishing the second is to gardeners to help speed composting. Garden Sitting - Gardeners like to take vacations too, but the almost constant care required to maintain a large garden during growing season can make getting away for more than a day or two difficult. You could build a business around providing "sitting" services (watering, weeding, pest control) for gardeners while they travel. Snail Farming - If you have limited space and are looking for a very small, but profitable, type of animal to raise, you might consider snails. It might sound strange, but you can raise snails for use in cooking. And snail slime can also be used by companies for a variety of different purposes. Rural Coworking Space - A great way to become a rural entrepreneur is by providing a place for other rural entrepreneurs, freelancers and professionals to set up shop. A business could be built around providing just a workspace with a monthly rental fee, or you could provide ala carte services such as coping, bookkeeping and graphic design for your clients. What are some other off-the-wall ideas for rural entrepreneurship? 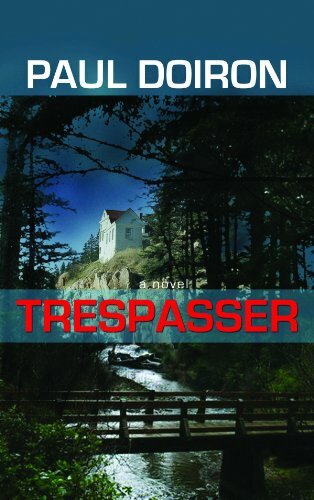 Trespasser is the second book in the Mike Bowditch series by Maine author Paul Doiron. I reviewed the first book in the series, The Poacher's Son, a couple of months ago and gave it generally high marks (B+). 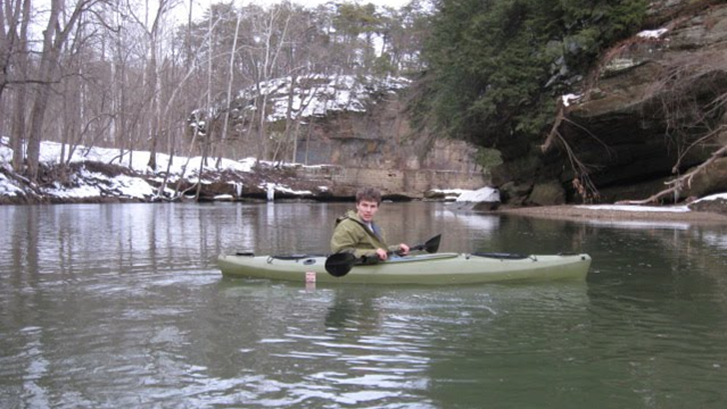 The series follows the adventures of Maine game warden Mike Bowditch. 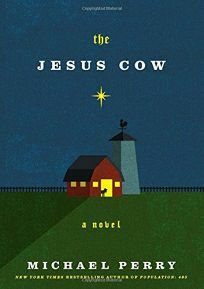 The first book explored Mike's upbringing and his strained relationship with his n'er do well father, who was accused of a grisly murder. Trespasser takes place several months after the events of that book and starts with Mike trying to reconcile with his girlfriend, who sees his outdoor lifestyle and poor-paying job as roadblocks to their relationship. Called to the scene of an accident in which an out of town motorist hit a deer, Mike is surprised to find the car abandoned and the deer gone. A complex series of events eventually turns into a murder mystery with startling similarities to a decade old murder case which resulted in the conviction of a man named Erland Jefferts. Many in the community believed that Jefferts was innocent and this new crime may give them the ammunition they need to seek a new trial. As in his first book, Doiron dives deep into the psychological makeup of his characters and chums the waters with enough red herrings to keep the reader unsure of the identity of the killer until the final few pages. Unfortunately, it is in those pages that the plot comes somewhat off the tracks. I understand what Doiron was trying to do; offer a nuanced resolution rather than a tidy one, but the supposed motive of the accomplice in keeping the secret didn't make any sense to me. As a result, I'm going to give this one a C+. It's a good effort and entirely readable, but gets bogged down in its own ambition at the end. Now that we have dethatched and aerated, the next step in our fall lawn care regimen is overseeding. Let me stop here and say that some lawn care professionals do not agree with that order and suggest that you overseed before aerating. The theory behind this is that the holes created by aeration are too deep for seed to germinate and that a significant amount of seed spread on an aerated lawn will fall into those holes and be wasted. I have tried it both ways and for me seeding after aerating has been more effective, but either way will work perfectly well for most situations. I am also going to lump pH testing and lime application in with overseeding because, again, for me that has been most effective. Applying lime is one of the more commonly misunderstood lawn care tasks. In this part of the country (Carolina Piedmont) many professional lawn care services routinely spread lime in the fall because our heavy clay soil tends to be slightly acidic. In most cases this approach does little harm and probably some good, but the proper way to determine whether your yard requires an application of lime and the appropriate amount is to conduct a pH test -- a test to determine whether your soil is acidic, neutral or alkaline. Soil test kits can be purchased for less than $10 at most garden centers and hardware stores. You can also send your soil sample to your agricultural extension office (for a fee) and they will provide a more accurate and detailed soil evaluation. Each method has its own specific instructions, but typically involves taking 3-5 samples from various places in the lawn, mixing them together, letting them dry and then doing a chemical test. Most grasses do best in soil with a pH of 5.5 to 7. Soils which are too acidic (below 5.5) will require an application of lime. In the somewhat rare case, in these parts at least, that your soil is too alkaline (above 7), you will need to add sulphur. The amount of amendment to add depends on the degree to which the soil is too acidic or alkaline, with a general rule of 50 pounds per 1,000 square feet of lawn for mildly acidic soils. More strongly acidic lawns may require multiple applications; one in the fall and one in the spring. It is important to note that soil pH does not change immediately upon application of the amendment and may take up to 6 months, so performing another test a week or two after application is useless. Once you have determined the pH of your soil and added amendments as appropriate, you can overseed. This can be done on the same day or a few days later, as applying lime will not impact the germination or growth of grass one way or the other in the short term. We overseed because grass, although a perennial, has a lifespan and needs to be replenished. In nature, turf type grasses propagate by dropping seeds from tassel-like pods, constantly reseeding themselves. Since we keep our lawns cut to a height that does not allow them to go to seed, wee need to mimic that process by spreading seed on our lawns in the fall or spring; a process that has become known as overseeding. In most instances, you will want to overseed with the same type of grass that is currently growing, although there are specific circumstances that are beyond the scope of this article in which an annual grass type might be seeded over a perennial grass. Apply the new seed with a drop or broadcast spreader, following the product's recommended coverage rate for the type of spreader you're using. Although not necessary, you can use The back side of a garden rake on bare spots to help work the seeds into the soil. It's ideal to overseed during a cool, wet period, but we cannot control the weather. For best results, keep the soil moist until the seeds germinate; a week or two. We finish up next week with an application of winterizing fertilizer. In north-central Ohio, where I was born and raised, aeration was for golf courses and other high-traffic grassy areas; the average homeowner rarely, if ever, aerated their lawn. The soil there had a high humus content, drained well and didn't compact easily. Conversely, in the North Carolina Piedmont, our heavy red clay soil is essentially brick waiting to happen, and the only thing we can do to prevent that is annual core aeration. Like dethatching, core aeration comes down to a do-it-yourself versus pay-someone-to-do-it decision. The difference is that while there are viable manual and lower-cost methods for dethatching, core aeration requires a fairly pricey piece of equipment or a tremendous amount of labor. There are, to my knowledge, no reasonably effective electric aerators, although a manual device that resembles a cross between a pitchfork and a shovel can be had for around $35. I suppose if you had a VERY small lawn this might work, but even then the idea of aerating a lawn two holes at a time is daunting from both a time and physical effort standpoint. Some gardening catalogs sell "aerators" that are long spikes which attach to the bottom of shoes. My guess is that those are just about as useful as they sound. Core aeration is the process of removing plugs of soil roughly 3/4 inch in diameter and 2 to 3 inches in depth from the top layer of lawn. Most power aerators will remove six to eight of these plugs per square foot. This serves two purposes. Primarily, it opens the soil up so water and nutrients can reach the grass roots, and secondarily it reduces the physical density of the soil, effectively "un-compacting" it. Without annual aeration, red clay soils become very dense and do not promote deep root growth. When grass has shallow roots, it becomes susceptible to drought and disease and does not grow as full. As an added benefit, the removed plugs break down on the lawn surface, providing an excellent medium for the growth of new seed. Walk-behind gasoline-powered core aerators sell for $800 and up, putting them out of the reach of most homeowners for this once-a-year project. Rental stores typically charge $50 to $75 for a half-day rental, but you will definitely need to book in advance, since just about everyone wants to aerate during the same 3-4 week period in the fall. Also, be sure that delivery is included with the rental. These machines are very heavy with lots of sharp points sticking out of them and they will do a job on your truck bed, not to mention your arms, legs and torso. If you own a riding lawnmower, core aerator attachments can be purchased for as little as $180, making them a reasonable investment for owners of larger lawns. Clearly mark the location of all irrigation sprinklers, underground "fence" wires and other in-ground equipment you do not want destroyed. The aerator will penetrate as deep as 3 inches. That's not deep enough to cause concern for underground utilities, but it can cause problems for shallower items. I didn't consider this the first time I aerated and knocked out my Invisible Fence. Remove any dead grass or loose debris from the lawn, cut out any interfering tree roots and fill any resulting depressions with top soil. We discussed dethatching last week, and that process should remove most of the loose debris. If you have shallow tree roots that need to be cut out, you should do this prior to aeration. The aerator will not do a good job in rooty areas. Thoroughly water your yard 24 to 48 hours before you aerate. Ideally, wait to aerate after a couple of days of rain, when the soil is wet, but not saturated. Unless you own an aerator and can be extremely flexible, however, it's difficult to time that out perfectly. In lieu of rainfall, you will want to put a minimum of 1 inch of water on your entire lawn 24 hours in advance. Aerating soil that is either too dry or too soggy does not yield good results. Note that it may take several hours to deliver an inch of water across an entire lawn, depending on the type of sprinkler you are using. The power aerator is used somewhat like a lawnmower, but is a much heavier device with a much wider turning radius. If you try to stop at the end of a row and make a pivoting turn, like you do with a walk behind mower, you will most likely rip up a divot of lawn the size of a card table. Instead, get a feel for the natural turning radius of the device and don't make any turns sharper than that unless you completely disengage the core pluggers. It goes without saying, I hope, that you will want to keep children and pets safely indoors while you are using the equipment. If you thought your yard looked bad after dethatching, just wait until you see it right after you have finished aerating! The good news is that those individual plugs of soil that somewhat resemble, uh... Baby Ruth bars, will begin to break down with the first good rain. Which brings us to the next step and next week’s discussion, overseeding. One of the key elements of successfully maintaining a suburban homestead is learning to think simultaneously about next week and six months into the future. Recently, I wrote about preparing the garden for fall planting, and today I want to begin a discussion about preparing the lawn for next spring. Note that this advice is intended for turf-type lawns, which are the most common in the North Carolina Piedmont, and may not be appropriate for other types. There are a few essential tasks which must be completed within the next 4-6 weeks if you want to ensure a healthy lawn next year. There's no way around it, if you want lush green in April or May, you will have to put the work in now. This was a particularly bad summer for lawns in the North Carolina Piedmont, with a wet June and a long stretch of very hot, very dry weather in July and August. Even the healthiest, most liberally watered lawns were stressed to the max. If you, like me, tend to take a more natural and sustainable approach to lawn maintenance, you are probably looking at a tangled brownish mat right now. Fear not. Your grass is not actually "dead," it has merely gone dormant. In fact, in my neck of the woods, the recent rain showers and slightly lower daytime highs have greened things up just a bit. If you want to maintain that green momentum right up through next spring, the first thing you need to do is dethatch. Thatch, the layer of decaying grass clippings and other organic debris that works its way down to soil level is actually a beneficial thing. 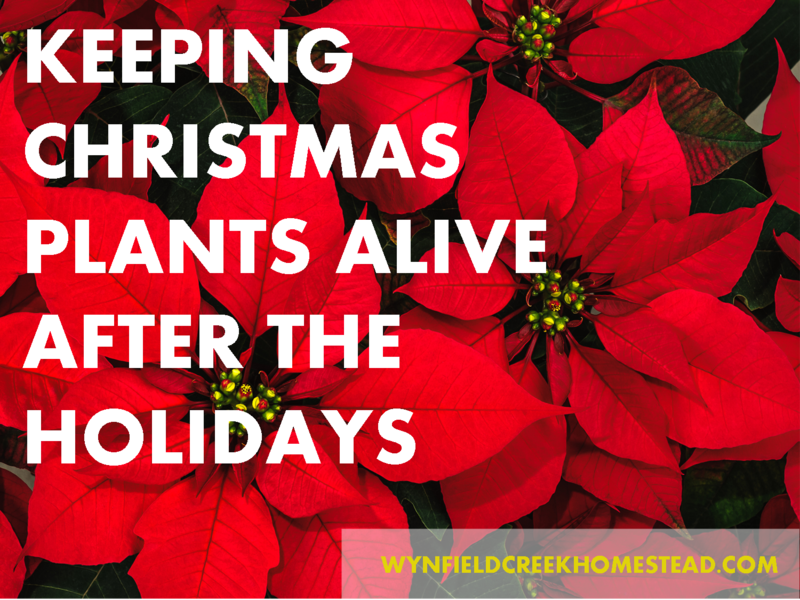 It helps preserve moisture and prevents weeds from taking root. That's why we use the "mulch" feature on our lawnmowers and don't (always) bag and remove our clippings. At this time of year, however, thatch that is too thick can have a detrimental effect on some of the other critical maintenance activities we need to perform, and we need to remove it to give the grass a chance to "breathe" and to let water and nutrients reach the roots. There are four ways to dethatch a lawn and the one you choose will most likely depend on your lawn's size. For very small lawns a manual dethatching rake is a possibility. These rakes sell in most hardware stores for $30 to $50. It takes about an hour to thoroughly go over a 300-400 square foot patch with one of these and it is fairly intense labor, so unless you have a postage stamp lawn or are looking for a real workout, a manual rake is probably not the best option. A distant cousin of the manual rake is the dethatching lawnmower blade attachment. I have never used one of these myself, but everyone I have spoken to that has deemed them utterly and completely worthless. You can also rent or purchase a power dethatcher. These devices look like old-fashioned reel lawnmowers and come in electric and gasoline models. They have adjustable tines which, in theory, rotate just deep enough to lift the thatch without ripping up the grass. For smallish lawns - up to, say, a quarter acre - an electric model, which will run you $150-$200 would probably suffice. A gasoline model will cost roughly twice that to buy or around $50 for a half-day rental. Keep in mind that this is a tool you will use once per year, and that the maintenance involved with the gasoline models probably make them a better rental than a purchase. One thing to be aware of with power dethatchers is that they do NOT collect the thatch. You will need to do that with a leaf rake or with a bagging power mower. Although some models come with a "thatch catcher" bag, the consensus opinion is that they are, at best, only marginally effective. The third option, for larger lawns, is an implement which attaches to and is pulled behind a riding mower. These look like miniature hay rakes and can be purchased at lawn & garden or farm stores for $100 to $150. If your lawn is larger than a half acre and you already have a riding lawnmower, this is probably your best option. Finally, of course, you can always pay someone to do this for you. Some yard maintenance companies will include dethatching in a "complete" fall maintenance package, but in most cases you will need to specifically ask for this service. The cost varies according to the size of the lawn, but you are probably looking at $75 to $150 for a typical suburban lawn, including removal. The dethatching, itself, is a relatively straightforward process akin to mowing, albeit quite a bit more time consuming. As noted earlier, the power dethatcher only loosens the thatch and brings it to the surface. It must be removed by some other means. For a small yard, raking into piles, onto a tarp or into a wheelbarrow will work. Another, less physically demanding, method is going over the lawn with a bagging lawnmower on its tallest setting. A word of warning; dethatching will generate a surprising volume of material and you will want to give some consideration beforehand to how you intend to dispose of it. Thatch makes excellent compost, so if you are already doing home composting, this will give you a huge boost of quality material that has already started to decay. If you are not composting or cannot use all of the material, you might check with a neighbor or a local community garden that composts. They may even come and haul it away for you. As a last resort, you can bag it up and put it out for removal as yard waste. The dethatching process will likely make your yard look a little "rough." Often the first-time dethatcher will wonder if they have destroyed their lawn. That's to be expected, it's just the first step in the process. Next week, we will discuss core aeration. Of course, as a modern, sophisticated society (certain recent events notwithstanding) we understand that the eclipse is just a matter of interplanetary physics and the odd coincidence that our unusually large moon is at precisely the right distance that it appears to us to be almost exactly the same size as our sun. But imagine what our distant forefathers must have thought about the sun disappearing; I’m guessing complete and utter terror followed by, if all those warnings about not looking at it are correct, blindness. Little wonder that ancient civilizations put so much time and effort into tracking celestial bodies and trying to predict things like eclipses. Although someone really paying attention would begin to notice the sun slowly disappearing, the easily noticeable effects start about 15 minutes before totality, when the quality of light on earth starts to change. Everything gets darker and darker minute-by-minute. There will be a sudden drop in temperature and wildlife, especially birds, will start to go quiet as they notice the odd change of light. Just before totality, things start to get surreal. It doesn't feel like day, but it's not like night either. Nor is it like dawn or dusk. It's an eclipse. Depending on the atmospheric conditions the sky can start to display some unique colors. And if you’re up high on a mountain or have a good view of mountains to the west, you might be able to see the edge of the moon’s shadow moving across the land. Perhaps the most unique phenomenon that can happen just before and after totality are shadow bands. 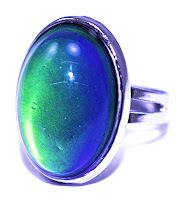 These are faint and mostly noticeable on smooth, flat and light colored surfaces. They dance around and are best compared to the shadows seen on the bottom of a swimming pool.